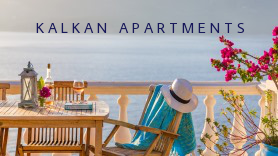 Welcome to our collection of exceptional ATOL protected hotel based holidays to Turkey, and wide selection of villas and apartments in what we consider to be some of the most beautiful resorts and cities in the country. Established in 2008, The Turquoise Collection offer a hand-picked collection of what we regard to be amongst the finest holiday accommodation, in the most convenient, premium locations. 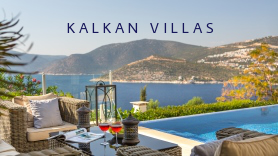 Whatever your party size and requirements, our reservations team can tailor make your itinerary to include any flight options, and a wide choice of hotel, villa and apartment holiday accommodation across Turkey. Our complimentary concierge service, available both pre-departure and in resort delivers the high levels of service that our guests expect, so whatever your heart's desire on holiday, ask us… we can probably make it happen. We know Turkey intimately; its people, culture, history and the many memorable places to visit, dine, relax and marvel at in this scenically beautiful country. Our website travel guides will inspire and inform you and the "Experience" section takes you on a journey to reveal just why a holiday to Turkey is so special. Let us help you plan a Turkish holiday experience to remember, and discover a part of Turkey that you will want to return to. Much of our collection is exclusive to us, but where it isn't, we guarantee to offer the best pricing for the hotel room, villa or apartment, for which you are enquiring.